Make no mistake. The NFC rivalries are among the oldest and most heated in professional sports, not just football. 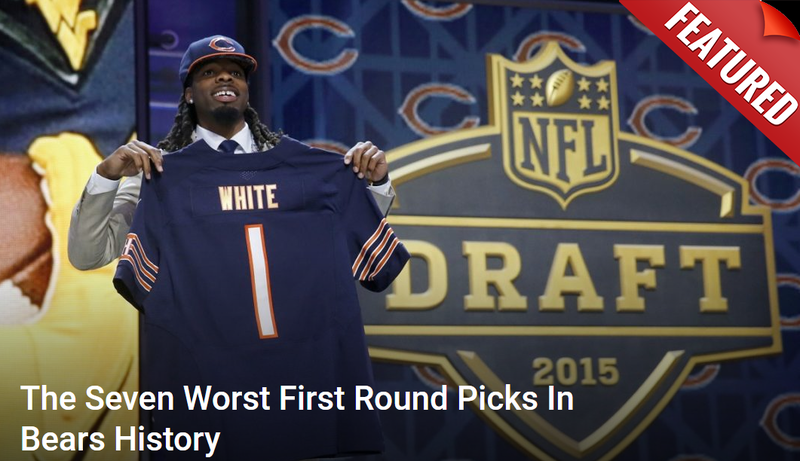 The Chicago Bears know this well. Their fans hate each and every one of the teams in this division. None more so than the Green Bay Packers, a hatred that’s had almost a century to grow. However, this city can’t take sole ownership of that reality. A close second to Chicago in terms of Packer hate has to be Minnesota. If anything it might be more heated these days because the two teams have battled for control of the division going back decades. One can imagine it got a lot worse when the Vikings knocked quarterback Aaron Rodgers out for most of the year with a broken collarbone. Without Rodgers, the Packers faded down the stretch last season and finished out of the playoffs for the first time since 2008. The rest of the division, particularly Vikings fans took great delight in that. It seems that euphoria hasn’t worn off either. One Minnesota police department just couldn’t resist jabbing them on Twitter while warning drivers about snowy conditions. As the saying goes, they were cooking with gas on that one. The fact it comes from a town named after a state that’s nowhere near Wisconsin somehow makes it even more hilarious. One can imagine Packer fans weren’t open to the jab but it’s not like they can anything about it. These are police officers after all. One wrong threat and it won’t matter if it’s all in good fun. Seems there’s added benefit to talking trash when you’re a cop.